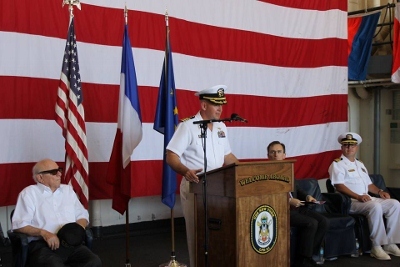 Five days before "Victory Day", on May 3rd, 2017 France thanked four American Veterans for their actions on French soil during WWII. They helped France and Europe to recover the peace and prosperity that we have been enjoying for more than 70 years! 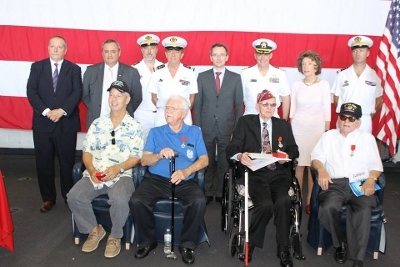 From left to right (bottom): Mr. Greg Stein representing his father, the late Mr. Murray Stein who passed away recently, Mr. William Thomas, Mr. Andres Madsen, and Mr. Melvin Hurwitz who were awarded the Legion of Honor on May 3rd, 2017 aboard the USS New York at Port Everglades, Florida. 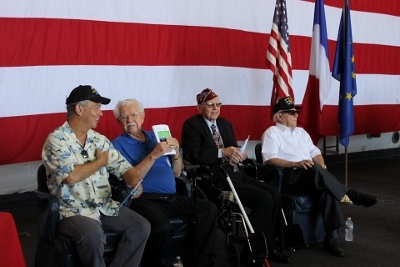 From left to right: Mr. Greg Stein representing his father, WWII Veteran Mr. Murray Stein, WWII Veteran, Mr. William Thomas, WWII Veteran Mr. Andres Madsen and WWII Veteran Mr. Melvin Hurwitz prior to the ceremony. 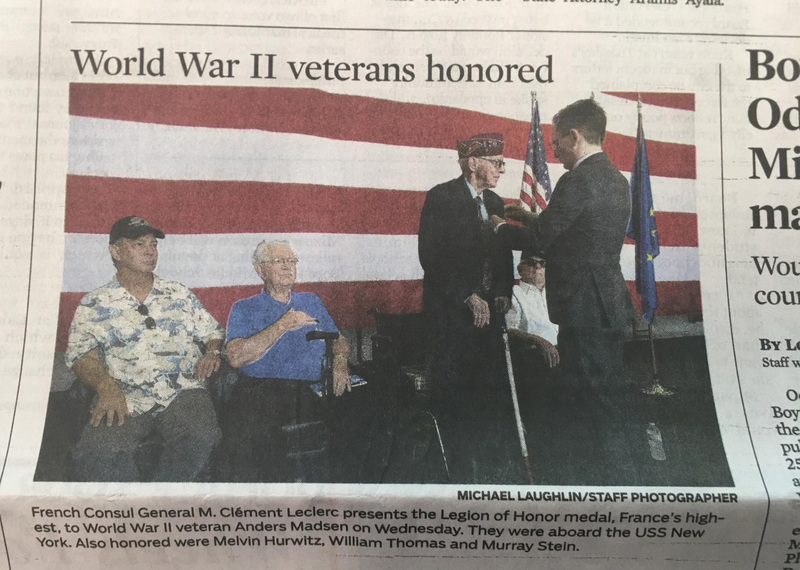 Presentation of the Medal to Mr. Melvin Hurwitz who participated in the Battle of Normandy, the Liberation of Northern France, and the Battle of Rhineland. As a Staff Sergeant in the 493rd Bomb Group, he took part of the operations that supported the Normandy landings and in bombing missions over the cities of Royan and Bordeaux to free the ports for the Allies. 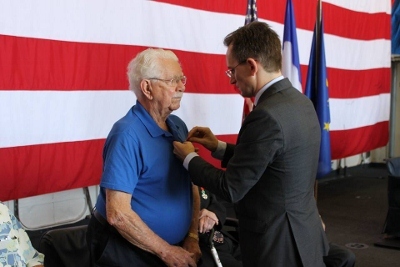 Mr. Anders Madsen, who is now Knight of the Legion of Honor, was injured in the line of duty. 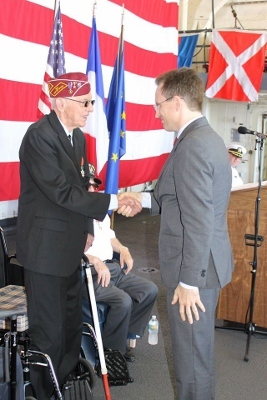 In France, during the winter of 1944, he sailed weapon carrier and trucks on the Seine River where mines have been laid to slow and harm the Allied troops. — at Port Everglades. Mr. William Thomas is receiving his deserved Medal. 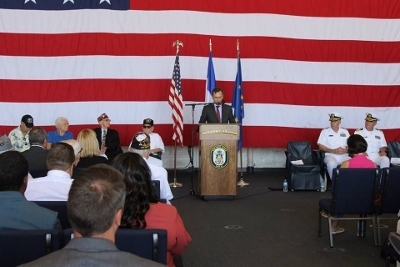 As a member of the American Merchant Marine, he took an active part in the war by sailing 8000 soldiers to France. 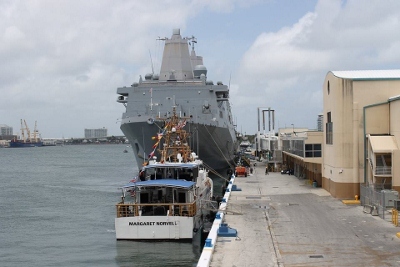 — at Port Everglades. 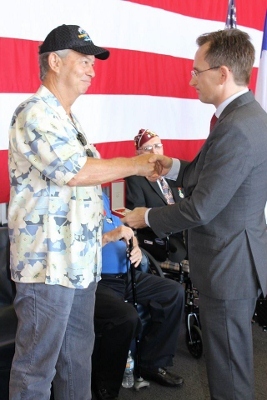 Consul general, Clément Leclerc, thanks Mr. Greg Stein, who receives the Legion of Honor Medal on behalf of his father, Mr. Murray Stein. Mr. Stein who passed away recently served in France where he participated in the Battle of the Bulge and the Battle of Rhineland. 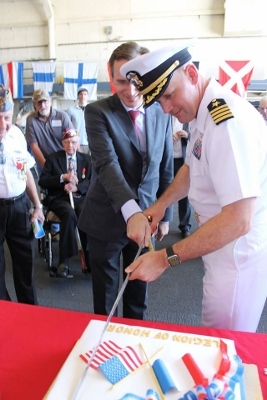 Consul general, Clément Leclerc, and Captin Todd Vandegrift are cutting the first line. — at Port Everglades. 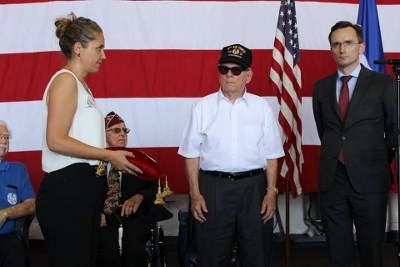 Thank you USS New-York for hosting us to salute these four WWII American Veterans! — at Port Everglades. 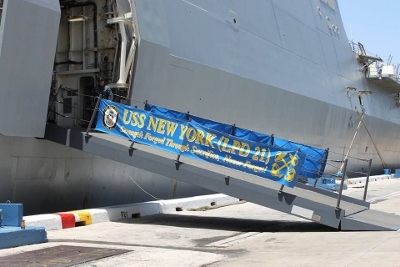 The USS NEW YORK (LPD-21) anchored at Port Everglades during Fleet Week 2017. — at Port Everglades.